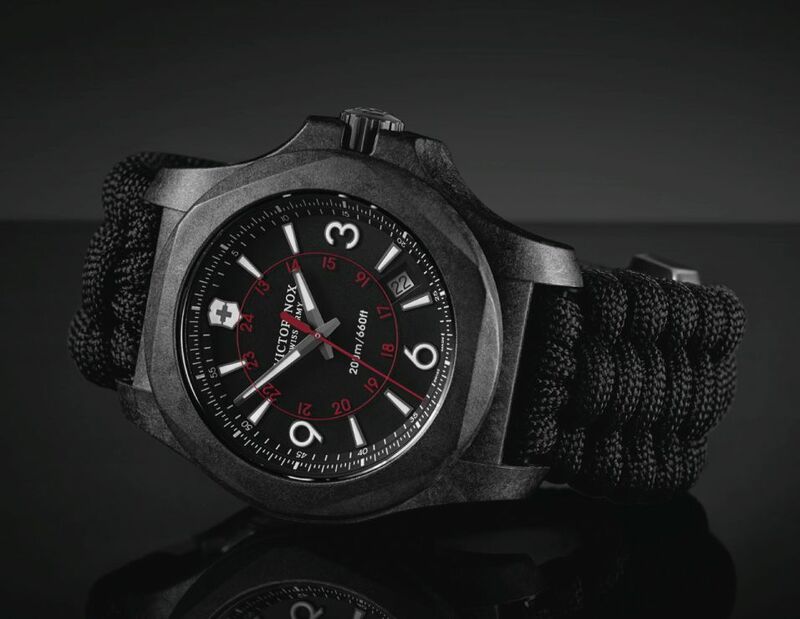 Victorinox Swiss Army, one of Switzerland's important brands, introduced a new version of its I.N.O.X. model with a new case material for Baselworld 2017. The Victorinox I.N.O.X collection stands out for its durability and is now preparing to go out to the market with a composite carbon case. The model is offered with a 43mm diameter case. It sports sapphire crystals with anti-reflection coating on both sides and is water resistant to 200 meters. Like the previous I.N.O.X models in the collection, there is a protective plastic material that can be attached and removed. The dial is finished in matte black with Super Luminova coated hands and indices. The red 24 hour scale in the figure is applied to the inner face of sapphire crystal glass and the date display is located between 4 and 5 o'clock. 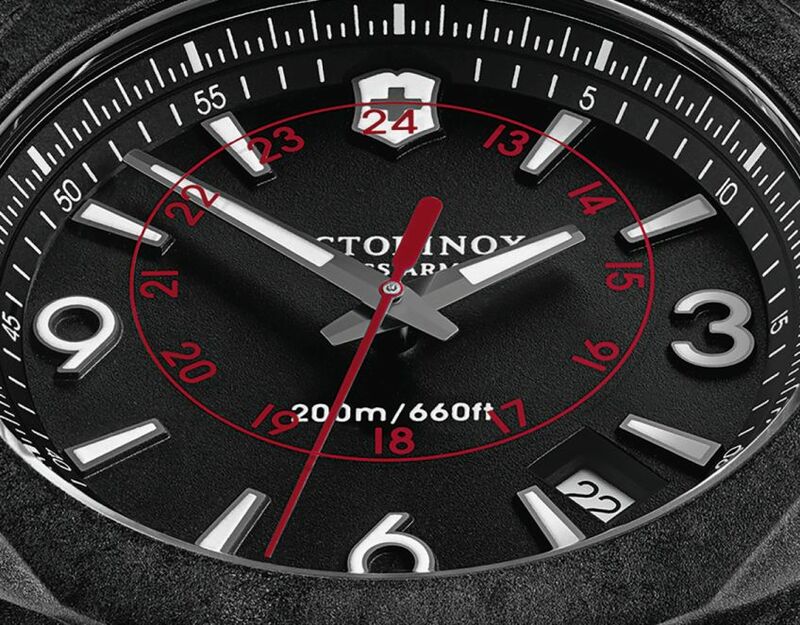 Victorinox Swiss Army I.N.O.X Carbon is powered by the Swiss Quartz Ronda Caliber 715. 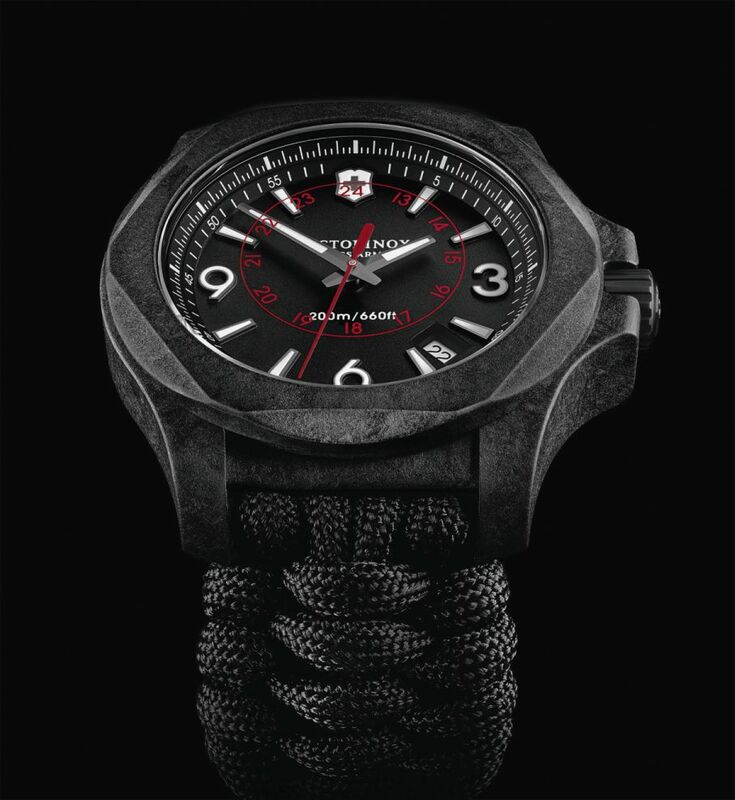 The new model is offered in two different options; a black rubber strap and a fabric strap made of parachute rope. Both straps are secured with a PVD coated buckle.